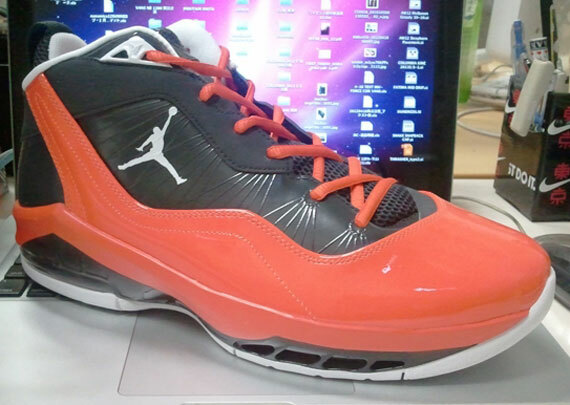 Just in time for this weekend's start of the NBA Playoffs, The Jordan Brand hits us with yet another look for Carmelo Anthony's signature Jordan Melo M8. Melo's signature kicks are hit with another Knicks-inspired color scheme, featuring an eye-catching orange hue taking center stage. Anthracite handles the Flywire and nubuck areas of the upper, along with the mesh tongue and parts of the midsole. Orange blaze takes over the laces, patent leather overlay and midsole, while white hits the liner and completes the look on the outsole down below. 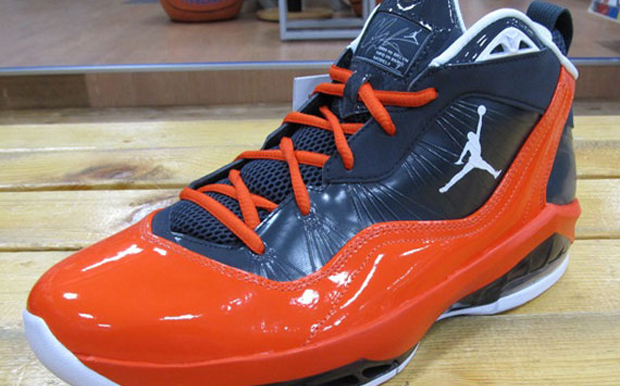 This latest colorway of the Jordan Melo M8 is expected to hit select retailers soon. Stay tuned to Sole Collector for further details.